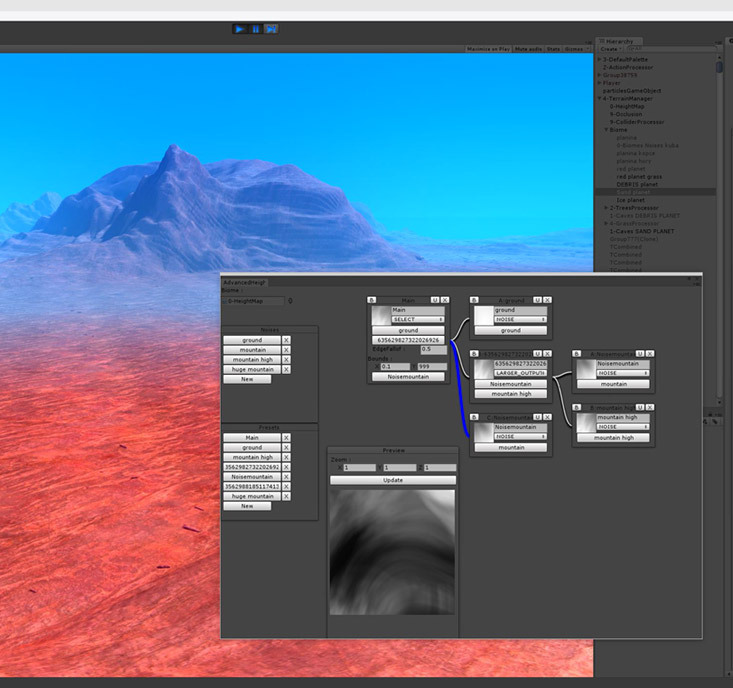 Planet Nomads, like many other sandbox games nowadays, uses procedural graphics to create the world around you. The world consists of voxels; small, mathematically defined pieces to the puzzle. This way an indefinite number of planets can be created. Actually you will be creating them. You will decide the general structure of each planet - will there be high mountains or just a nice hilly neighborhood? Forests? Valleys? How dense? What's the climate going to be like? What creatures will I encounter? All these variables are the result of your input. You can either create them randomly or set individual variables in more detail. 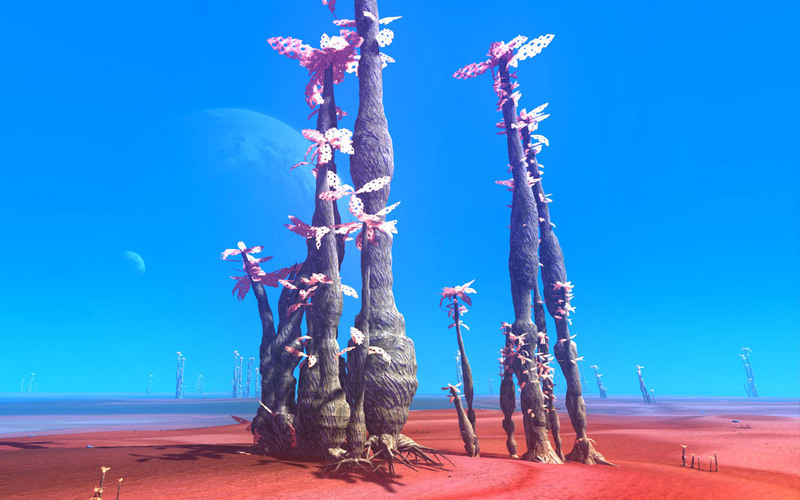 And if you happen to create a masterpiece of a planet, you can share it with your friends and the community with the use of your world's unique identifier (seed). 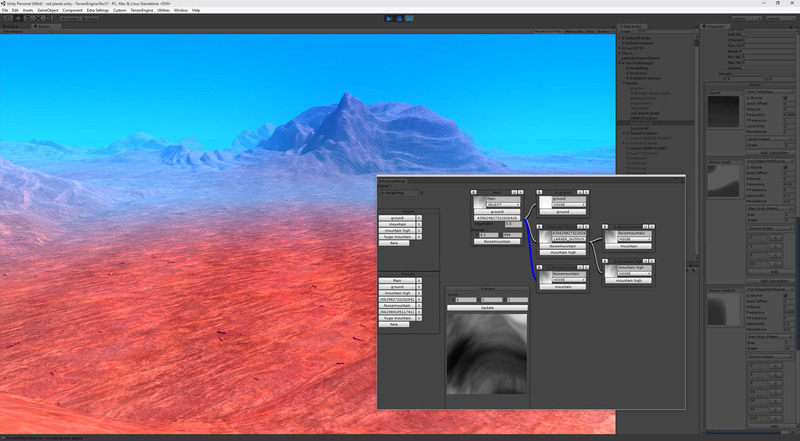 Planet visuals on the other hand are in our hands... or rather in the hands of our environment artist Kubát. He's creating and designing the biomes. 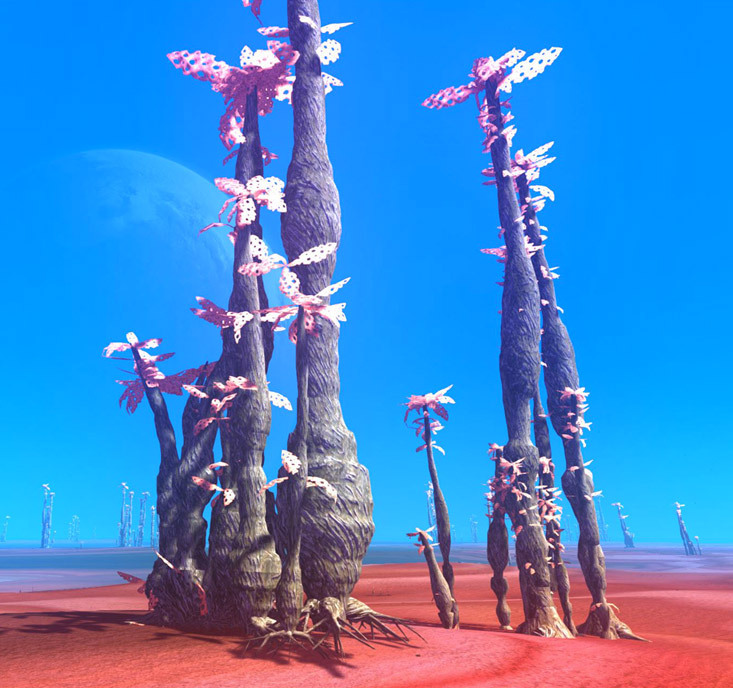 Large areas with unified visuals and characteristics that include biome-specific trees, plants, creatures, rocks, reefs, colors. We've posted a few of them already. (You can check them on the newly created MEDIA page.) There will be dozens of them initially, more coming with game updates. 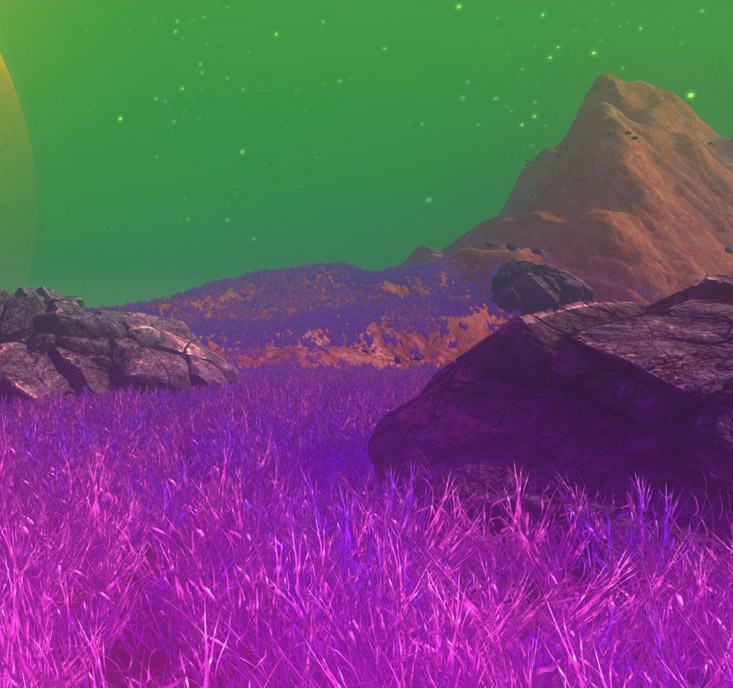 The art of having believable, good-looking generated environments is in fine-tuning the terrain generators and only allowing combinations that make sense. This is all handled by some high level mathematics algorithms I can't even begin to understand, but fortunately our programmers Martin and Tomáš do. You can get stuck solving one of these the whole day and still end up empty handed in the end. Poor souls. Lets wish them luck. The pictures you see below are from the terrain generator. 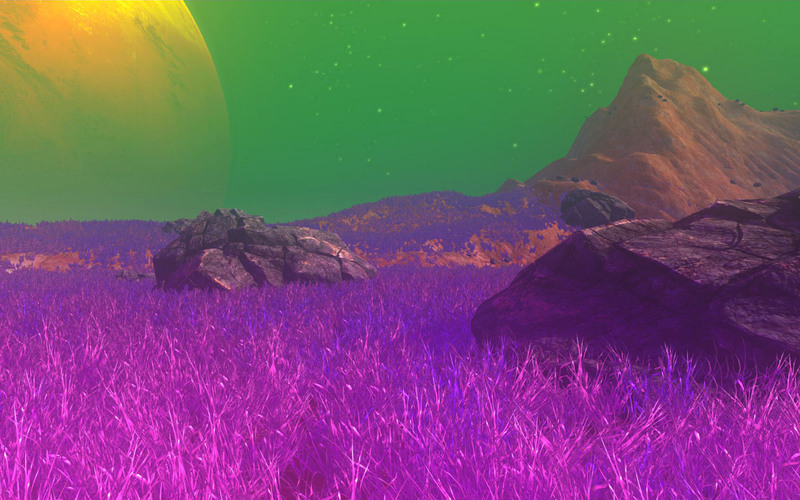 The odd looking plants are not procedurally generated; we've modeled them and added to the engine. We are still deciding between variations handled directly by algorithms or a mixture of different modeled variants randomly packed into clusters by the engine. Don't worry, whatever looks better is what we're going to use.